Visit Paris in a fun new way during this 1 hour 30 min. Segway tour. Two tour routes are possible : a discovery tour of Paris culture near the Louvre or an architectural tour near the Eiffel Tower. Meet your guide at the Hôtel des Invalides (38 rue Fabert, 75007 Paris). 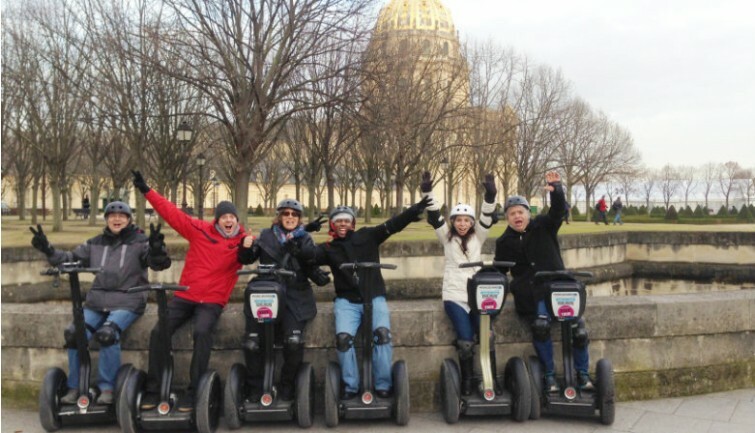 After a 20-minute explanation about the chosen tour, Segway use, and safety equipment, head out on a wonderful ride and see Paris from a fun, new angle! 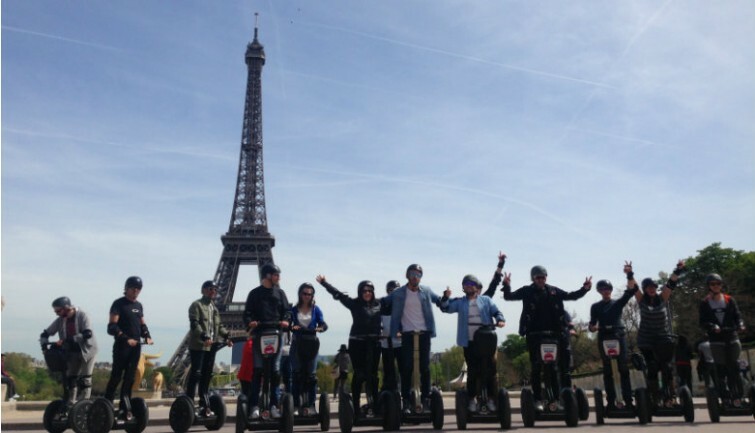 It’s a safe, friendly way to see Paris and enjoy new sensations. The tour begins at the Hôtel des Invalides. One of Paris’s most famous monuments, it houses military cultural heritage, including the Musée de l’Armée and the Tomb of Napoleon I. Next, follow your guide down the Seine River to the Orsay Museum, as an incredible view of France’s capital unfolds before your eyes. Admire the unusual architecture of this museum, which was built inside a former train station. Today, it houses the world’s largest collection of impressionist artworks. Next, you will arrive at the Louvre, after crossing the Pont du Carrousel. Observe the famous glass pyramid at the entrance to Europe’s largest museum. Inside are such renowned works as Venus de Milo and the Mona Lisa. Continuing onwards, you’ll reach Place de la Concorde, before heading up past the Tuileries Gardens, a prime park for a Parisian stroll. Place de la Concorde is monumental in appearance and is directly adjacent to the Champs-Élysées. Many executions took place there during the French Revolution. From it, you will reach the most beautiful avenue in the world, the Champs-Élysées, and see its Grand Palais and Petit Palais, which offer various internationals events year-round. Take in the unrivaled architecture of these monuments before you take the Pont Alexandre III, arguably one of Paris’s most beautiful bridges. Finally, you’ll return to the Hôtel des Invalides, where the tour ends. You’ll leave from the esplanade of the Hôtel National des Invalides, heading up the Seine River to the Musée du quai Branly – Jacques Chirac. This museum displays the art and civilizations of Africa, Asia, America, and the South Pacific Region and offers exceptional architecture, including a 2,624 sq. ft. green wall. Next, head to the Champ de Mars, where you’ll have an unrivaled view of the Eiffel Tower in all its splendor, a key moment in the tour. Take a moment to get some great photos of what the French call “Dame de Fer,” the Iron Lady. Next, head to the École Militaire, an important building in Parisian history and a masterpiece of 18th century classical architecture. 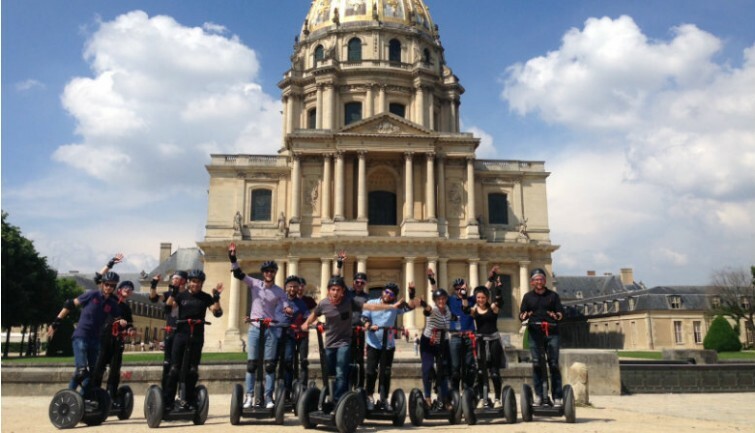 Finally, head back to the Hôtel des Invalides, where you’ll finish this exhilarating Segway journey. Take in the architecture of great Parisian landmarks during a new kind of excursion! Children over 14 are allowed on this tour.